You might not know it, but bath rugs serve many purposes. Not only do they prevent you from slipping in the bathroom, they are an important part of your decor. Here are five things that you should keep in mind before you buy bath rugs. Before you pick a bath rug, you should visualize where you want to place it. It could be at the entrance of the bathroom, in the space next to the tub, or close to the sink. You need to make sure that the bath rug is of perfect size. If the rug is too big, it may occupy a lot of space near your bathroom fixtures. If the rug is too small, it might not be able to adequately cover up water spills and might be a major hazard. The master bathroom is a great place to demonstrate your style. Your bath rugs should match the decor or the color scheme of your house, so they don’t look out of place. Your bathroom should also match the decor of your bedroom. If your bedroom has a feminine decor, you should choose a floral rug to complement the soft colours. If you want to transform your bathroom into a spa, choose solid pattern rugs with relaxing colors like blue or green. Your bath rug will be exposed to water constantly. You need to ensure that your bath rug is durable and long lasting. 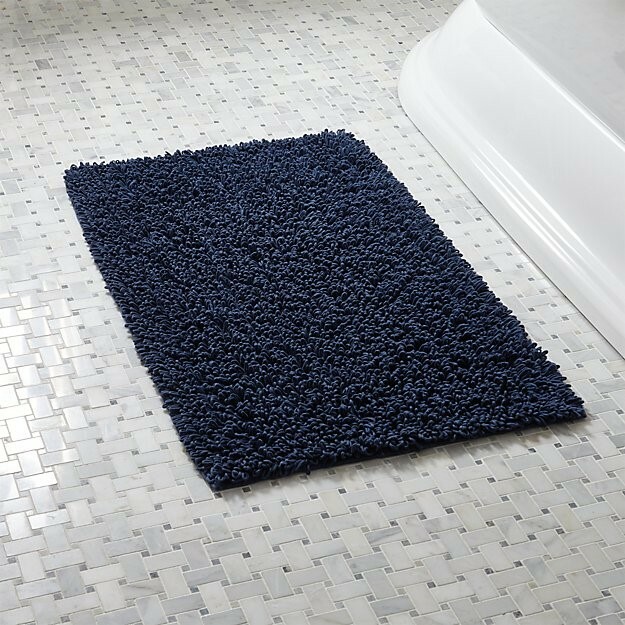 Cotton Rugs: They dry quickly compared to the rest of the bath rugs. They are highly absorbent and are softer to the touch. Egyptian Cotton Rugs: They are far more plush than cotton rugs. They also have a high level of absorbency. You should also consider how easy the bath rug is to wash. Ideally, your bath rugs should require low level of maintenance. Before you buy a bath rug, you should ensure that it doesn’t slip that easily. If you’re a germaphobe, you should consider buying an anti-bacterial rug.